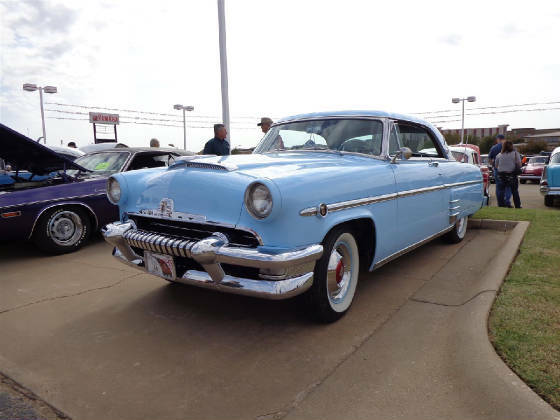 James Terrill is selling this outstanding 1954 Mercury Monterey. 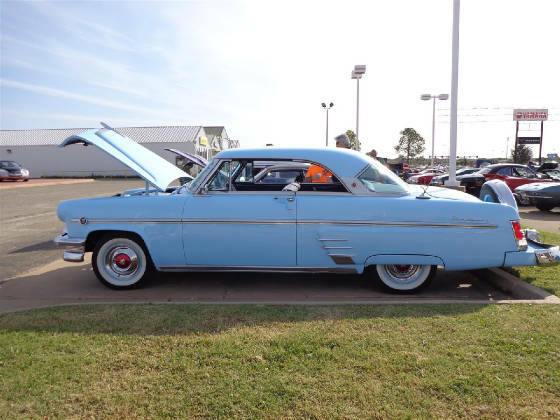 Information about this Mercury is in the feature below. You may contact James at 405 624 1119 home or 918 625 8147 cell. 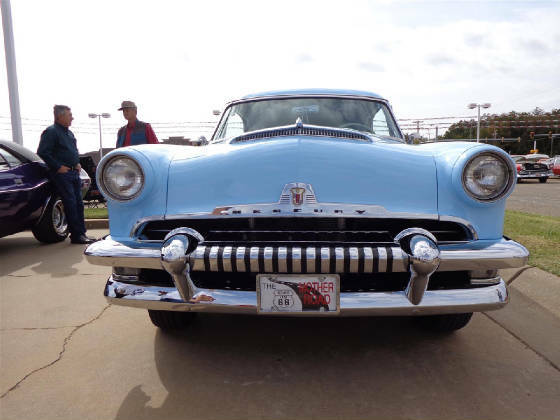 The November 2015 Great Oklahoma Classic is a beautiful 1954 Mercury Monterey two door hardtop coupe, which belongs to Jim Terrill of Stillwater Oklahoma. Jim is an active member of the Stillwater Antique and Classic Car Club and also is the proud owner of a 1955 Chevrolet Bel-Air two door hardtop coupe. You could not help but notice this classic Mercury when arriving at the Twentieth Annual Stillwater Antique and Classic Car Show being sponsored by Wilson’s Chevrolet, Cadillac, Buick and GMC. The Monterey was parked right up front and let everyone know they were in for some outstanding classic vehicle viewing at this annual car show. 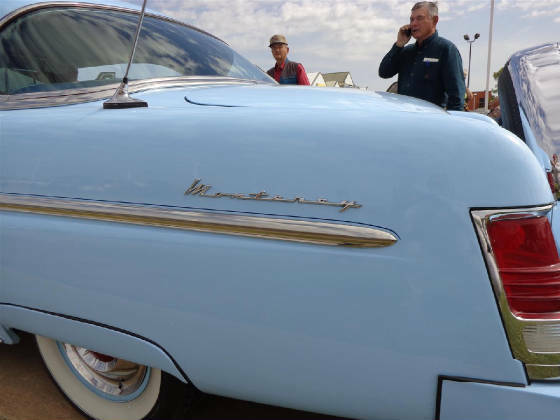 Jim found his classic Mercury in California about four years ago and began the process of making a deal and getting it back to his home in Oklahoma. This original Mercury Y-block, was introduced for the 1954 model year, displaced 256 cubic inches. It was advertised as the "V-161" engine, it runs a bore and stroke of 3-5/8" X 3-3/32". The compression ratio is 7.5:1 and the rated horsepower is 161 at 4400 rpm. Torque is 238 pounds feet at 2200 rpm. 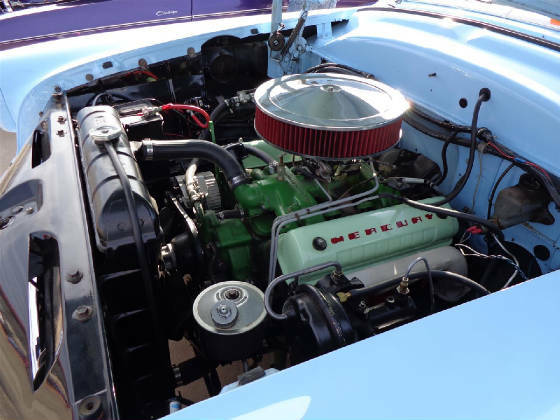 The engine breathes through a Holley model 2140 (4V) carburetor. 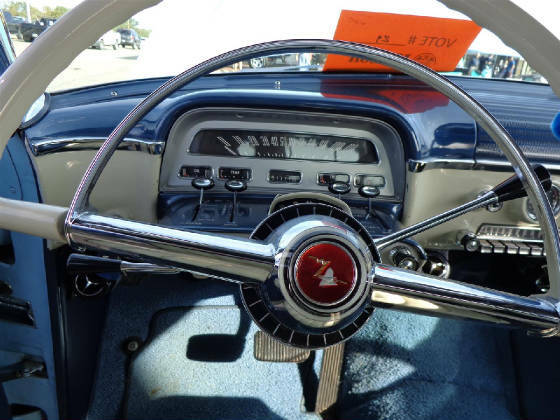 The Mercury gets the power to a 3.90 ratio rear end through a Merc-O-Matic three speed automatic transmission. 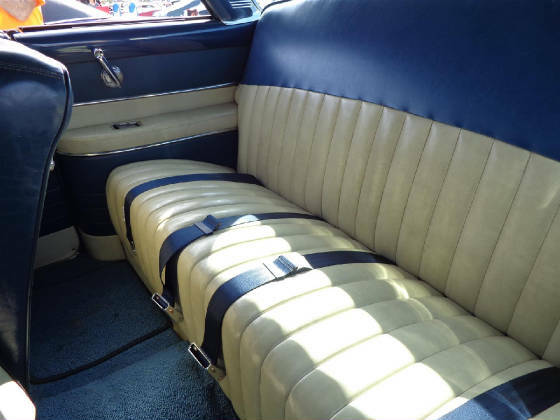 Jim’s Monterey has a beautiful two tone blue and cream interior. This classic has a wonderful dash that will just make you smile. The 51,771 miles showing on the speedometer is believed to be the car’s actual mileage. 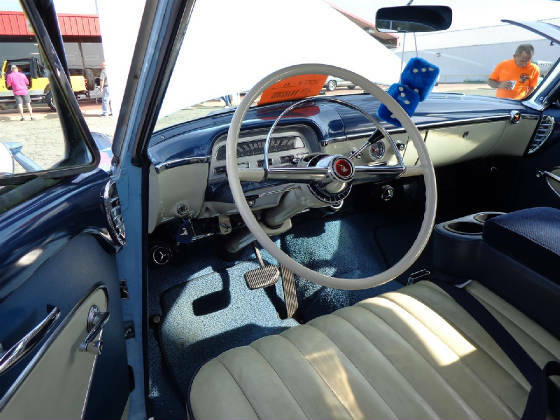 The car has been upgraded with vintage air and power brakes, but came with power steering. The seats, carpet, door panels and headliner all are just excellent in appearance. 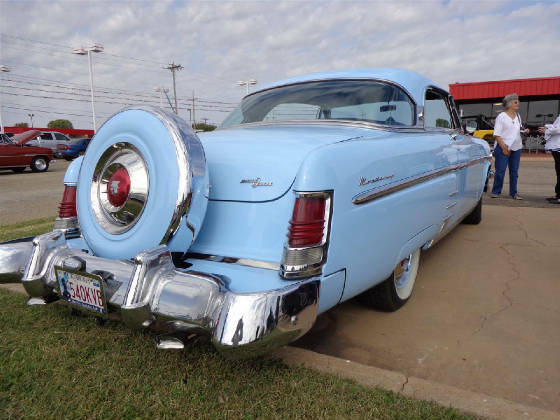 This classic rides on four Coker Classic P215/75R 15 inch wide white wall tires that are complemented by the full Mercury wheel covers. 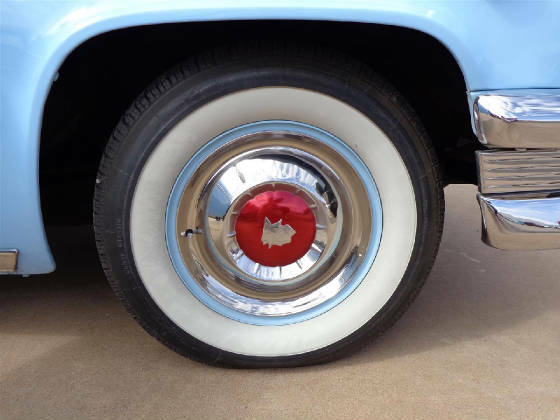 The vintage fender skirts let you know this is a classic 50’s auto! 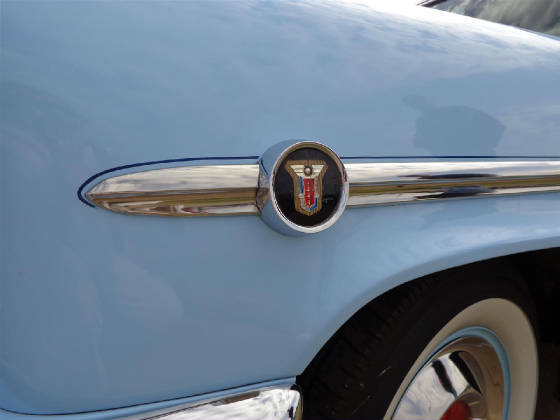 As you can clearly see, the Monterey has an excellent Powder Blue exterior complete with beautiful chrome bright work. This vintage Mercury looks great from any angle! 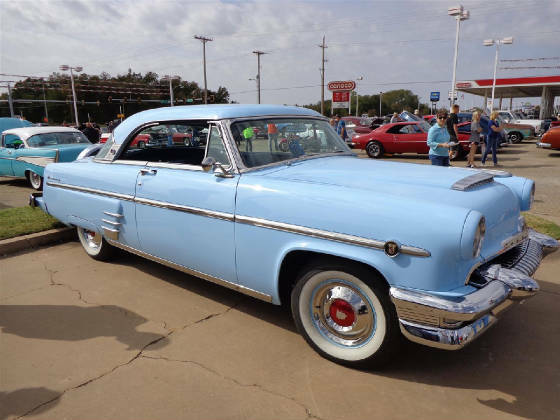 The Cimarron Starlite Cruisers wish to thank Jim Terrill of Stillwater for sharing his outstanding 1954 Mercury Monterey Hard Top Coupe as our Great Oklahoma Classic for November 2015!